This is a docu-drama of Nicolas Copernicus's life and in spite of all the praise heaped upon it I was unable to trudge through it much past halfway before I dropped it unread on my shelf — from which I picked it up some fifteen years later to review. After writing this review, my impression of the novel is much improved, probably due to a change in me over the years. Banville is a good writer, and the more writing I do, the more I appreciate those who excel at this craft. [page 3] At first it had no name. It was the thing itself, the vivid thing. It was his friend. On windy days it danced, demented, waving wild arms, or in the silence of evening drowsed and dreamed, swaying in the blue, the goldeny air. Even at night it did not go away. Wrapped in his truckle bed, he could hear it stirring darkly outside in the dark, all the long night long. There were others, nearer to him, more vivid still than this, they came and went, talking, but they were wholly familiar, almost a part of himself, while it, steadfast and aloof, belonged to the mysterious outside, to the wind and the weather and the goldeny blue air. It was part of the world, and yet it was his friend. Then, as happens in all our lives, someone came by and named this mysterious friend for Nicolas, "It is a tree." Banville does a good job of building images for us of Nicolas's education into the world of names and mathematics. Here his father explains to Nicolas the meaning of money saying that it was more than coins. [page 6] O much more. Coins, you see, are only for poor people, simple people, and for little boys. They are only a kind of picture of the real thing, but the real thing itself you cannot see, nor put in your pocket, and it does not jingle. When I do business with other merchants I have no need of these silly bits of metal, and my purse may be full or empty, it makes no difference. I give my word, and that is sufficient, because my word is money. What a beautiful definition of money! Our credit rating in this new century is the index of our word — it indicates to all our record of keeping our word in our business dealings. In Nicolas' time, one's word equated to one's reputation, but the overall effect was the same. Next the father taught Nicolas about the special name that identifies the family he was born into. [page 8] It was from this metal [copper] that the family had its name, his father said, and not from the Polish coper, meaning horseradish, as some were spiteful enough to suggest. Horseradish indeed! 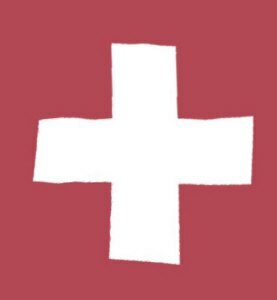 Never forget, ours is a distinguished line, merchants and magistrates and ministers of Holy Church — patricians all! So Nicolas was a patrician who learned the names of things and the meaning of money, but there was still one major learning for him: the concepts of mathematical thinking. 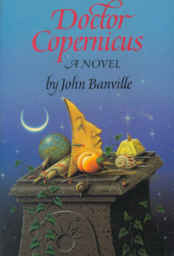 Banville waxes musical in his description of the younger Copernicus' thinking in mathematical concepts. [page 19] He learned with ease, perhaps too easily: his studies bored him. Only now and then, in the grave cold music of mathematics, in the stately march of a Latin line, in logic's hard bright lucid, faintly frightening certainties, did he dimly perceive the contours of some glistening ravishing things assembling itself out of the blocks of glassy air in a clear blue unearthly sky, and then there thrummed within him a coppery chord of perfect bliss. "What was the problem, Frank?" "Two problems: Stubbornness and arithmetic." "Only the second is solvable." There was another skill that would prime Nicolas as a child to become the master of the heavens as an adult — he had to learn to connect theories to the things of the world. This lesson was to come from Canon Wodka during their walks together when they talked about Nicolas Cusanus, Aristotle, and Ptolemy's view of the world. He left Nicolas with the unanswered question of how strange was Cusan's universe — an infinite sphere whose center is nowhere — when compared with the classical view of Ptolemy and Aristotle. [page 23] And later, as they walked across the cathedral close at dusk, the Canon halted, suddenly struck, and touched the boy lightly in excitement with a trembling hand, "Consider this, child, listen: all theories are but names, but the world itself is a thing." In the light of the evening, the gathering gloom, it was as if a sibyl had spoken. [page 51] "Compromise! Caution! I tell you we must act! Times do not change of themselves, but are changed by the actions of men. Banville presents a cogent picture of how the youthful Copernicus comes to be the one to shatter man's prevailing conception of the universe and replace it with a completely materialistic one that sets the stage for the celestial mechanics of Isaac Newton to follow.